Talking about the past is a wonderful way to share memories and experiences with others who may or may not have been there. But if something happened or went on in the past that you wish others would forget, or if it's just something you don't want to draw forward, you’re probably hoping it will never come up in conversation. And then it does! We can’t re-do things that happened years ago. So when someone decides to discuss old inside stories, even as lighthearted anecdotes, it can get very old very fast. 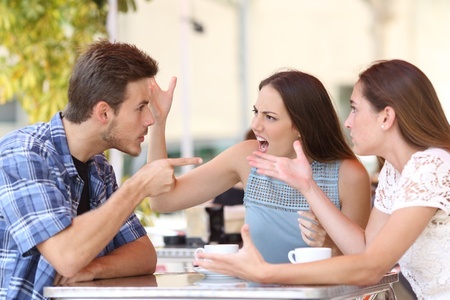 There may be some people in your life who feel their only connection to you is through a past period of time that you would rather leave out of current discussion with others. And odds are they either don’t know that you feel negatively about it, or they may have a different perception altogether. If these individuals are likely to continue to be in your occasional present-day world, the only way you're ever going to leave the past behind is to be open to creating a new present with them through honest moments today. Evenings out, momentous occasions, celebrations, etc. will give you plenty of other stories to tell without reverting to your or their past. There likely will be some people with whom you are not able to build a relationship that can overshadow a past transgression or relational story. However if this isn't the case, yet a simple and direct conversation with the teasing person or the one who seems habituated to old stories isn't working, a straightforward “ignore” and change of topic might be in order. Or excuse yourself and join another conversation. But what about more serious breaches in manners or forgetfulness? For example when someone speaks about a common friend - who just happens to be an ex of yours - in a way that is hurtful or embarrassing? Or when the ex of your current spouse always shares stories of the good old days at social events you both attend? It may be time to stand up for yourself and what you want without leaving an elephant in the room! You can do so while staying within the boundaries of etiquette rules. 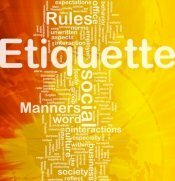 After all, etiquette asks only that you help others feel at ease in situations while being true to yourself. It is possible to maintain self-respect and honesty while aiming to have your personal needs met. Mind your choice of words and the tone in which you speak them. Set the tone at “friendly,” and be brief, clear, and to the point when you give an alternative. "Mary, I'd like to talk about something else. How about the first time you met our friends, Jenny and Cary?" If the situation is more complicated, but you know from past experience that it will come up, have a practiced line ready. 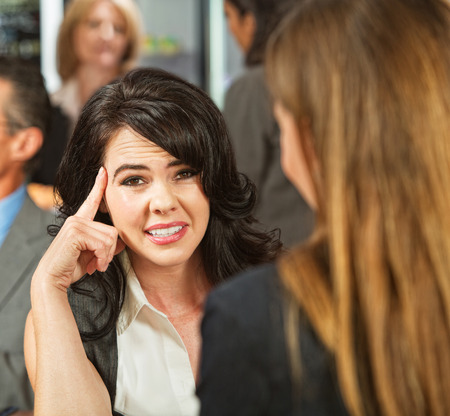 Of course you’re not planning a confrontation; rather, a straightforward request, so drop any hint of sarcasm or emotion and have an alternative topic handy. “John, let's shift the topic to today's occasion." Avoid making any belittling comments about yourself or the other person. Being assertive doesn’t call for rudeness. Remember your goal is to be positive and authentic, not confrontational. When you speak up in a kind way that doesn't exclude another from being your friend, you'll realize that whatever it was that has created dread in you has fallen away. When old scripts die, new possibilities emerge! No one wants to be stuck in the past – or in uninteresting relationships.